Pinot Noir Shootout Pinot Noir Shootout Favorites 2007 San Francisco Chronicle Wine Competition 2006 Sonoma County Harvest Wine Competition Segue Pinot Noir Molnar Family Pinot Noir Wine Money Buena Vista 150th Anniversary Drink Up or Procrastinate? The San Francisco Chronicle Wine Competition is the largest competition of American wines in the world - 3,800 wines from 1,500 wineries in over 20 states. Held on Jan 9- 12, 2007, the latest competition involved 55 judges. Judging at this event takes some real strong palates as over 100 wines are often judged in only a few hours. The results are widely publicized and a public tasting of the award winners is held in the Festival Pavilion at Fort Mason Center in San Francisco, February 24, 2007 (for ticket information, www.winejudging.com). The public tasting can be a real zoo so you have been forewarned. All of the winners will be announced in February, but the major award winners have been released. 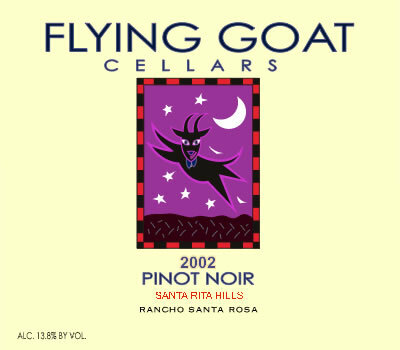 2007 Red Sweepstakes: 2005 Flying Goat Cellars Rancho Santa Rosa Santa Rita Hills Pinot Noir. $44. Winemaker Norm Yost crafts small amounts of Pinot Noir in his Lompoc wine ghetto winery. The wine is available for purchase on the winery website at www.flyinggoatcellars.com. Pinot Noir $25-$25: 2004 Sharp Cellars Keenans Lane Sonoma Coast Pinot Noir 344 cases, $32. Owner and winemaker Vance Sharp is one of the few African American winemakers making Pinot Noir. The wine is available on the winery’s website: www.sharpcellars.com.